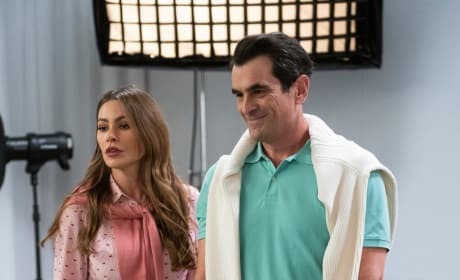 Jay and Claire talking at work about technical troubles and bullies. 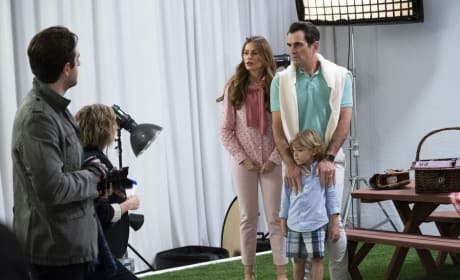 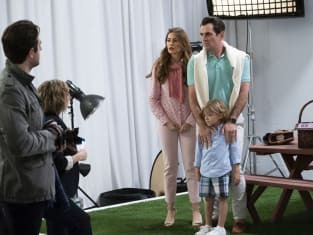 Gloria tricks Phil and Joe into participating in a photo shoot on Modern Family. "Whanex?" 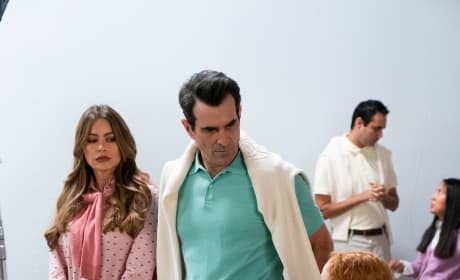 is the 13th episode of the show's tenth season.